This year my theme is a bit different. Sparkle and Shine Rustic Christmas Mantel. 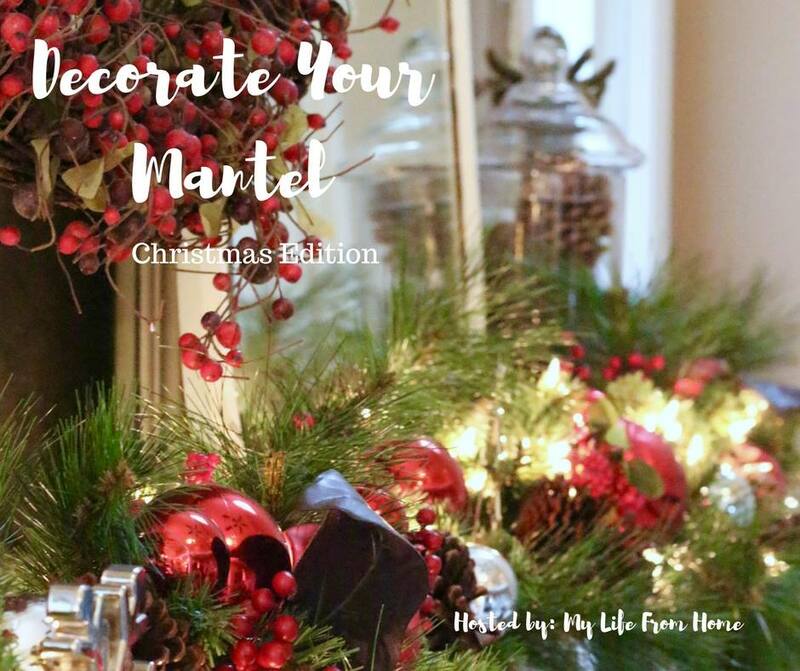 Welcome to our seasonal mantel tour hosted by our friend Amy of My Life From Home. 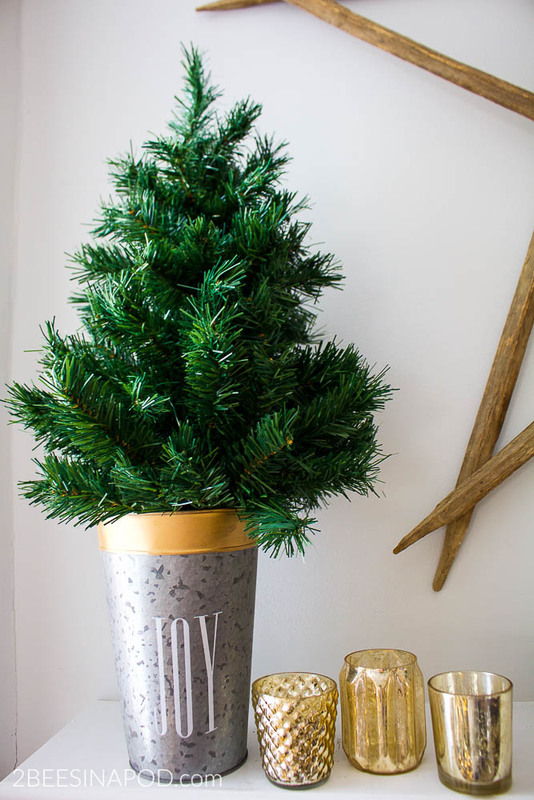 You’re in for a treat because this is our Christmas edition! My Christmas mantel is one place where I get a bit creative with decor every year. 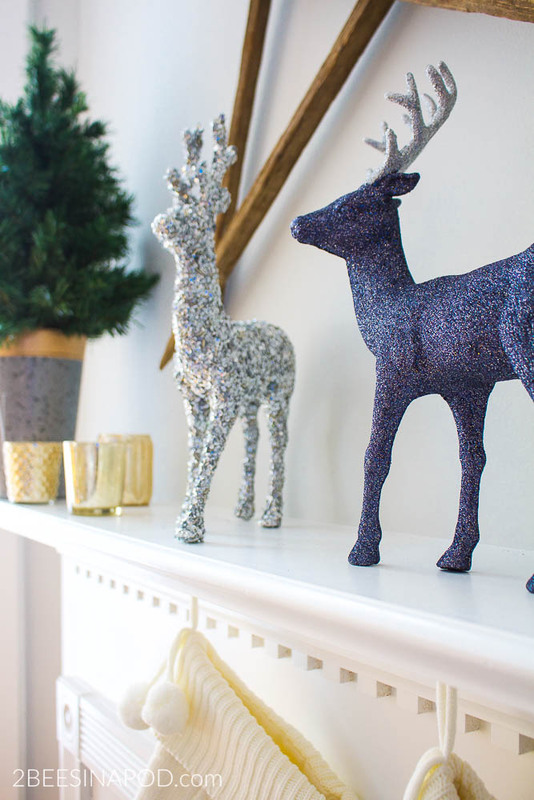 I can honestly say that ever since I have had a mantel the decor has been like snowflakes – no two have ever been alike. It’s so much fun to mix and match pieces, pulling items from here and there and seeing what I can come up with. 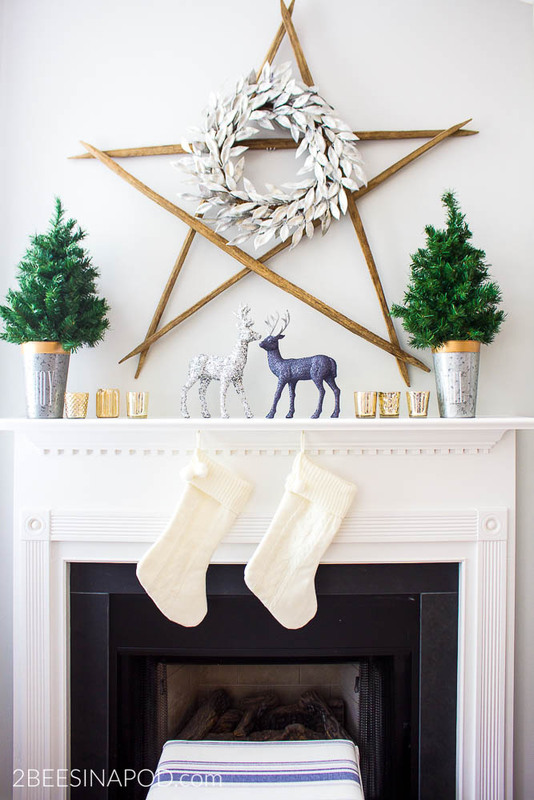 For this sparkle and shine rustic Christmas mantel I love the shimmer of mixed metallics paired with the weathered tobacco stick star and the glittery deer. 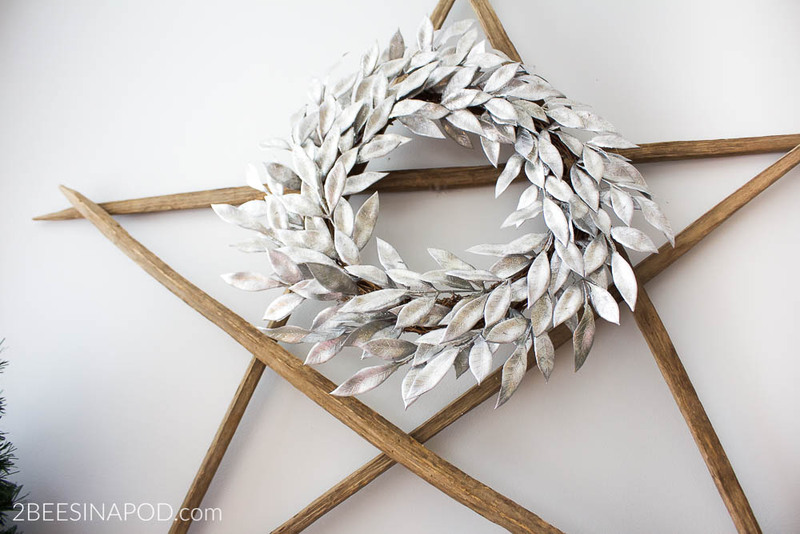 The tobacco stick star was a roadside stand purchase on a country road last year for just $15.00. 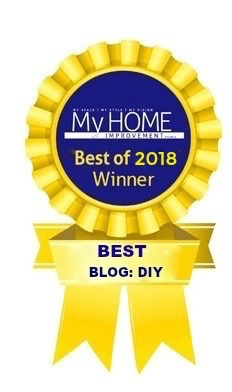 I love it and use it whenever and wherever I can in my decor. 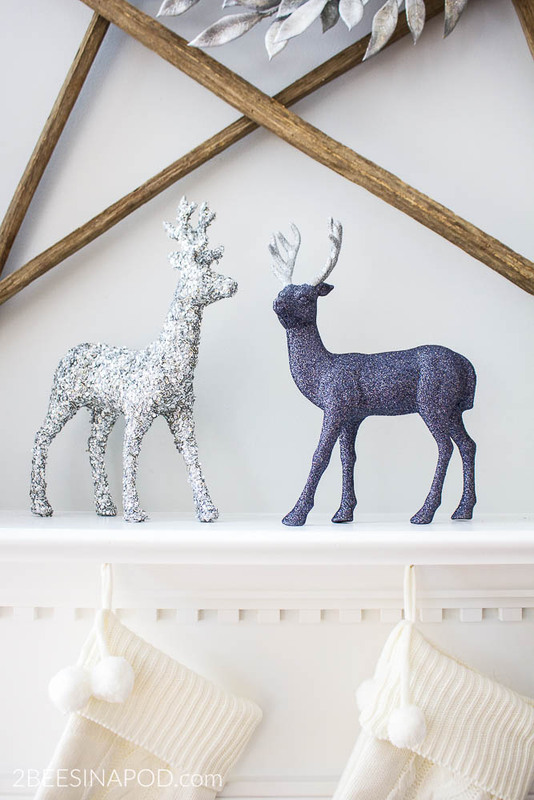 These glittery deer are so pretty when they sparkle by candlelight. 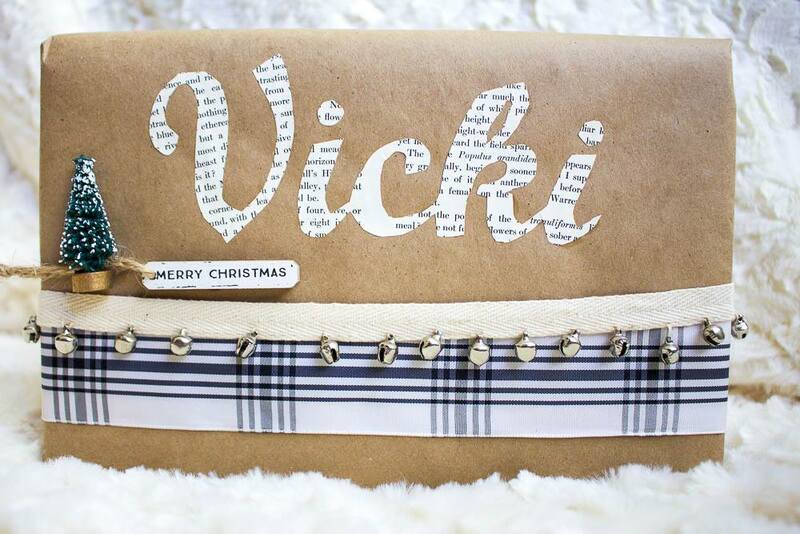 Did you see my DIY book page name tag cutouts and gift wrap that I shared a couple of weeks ago? 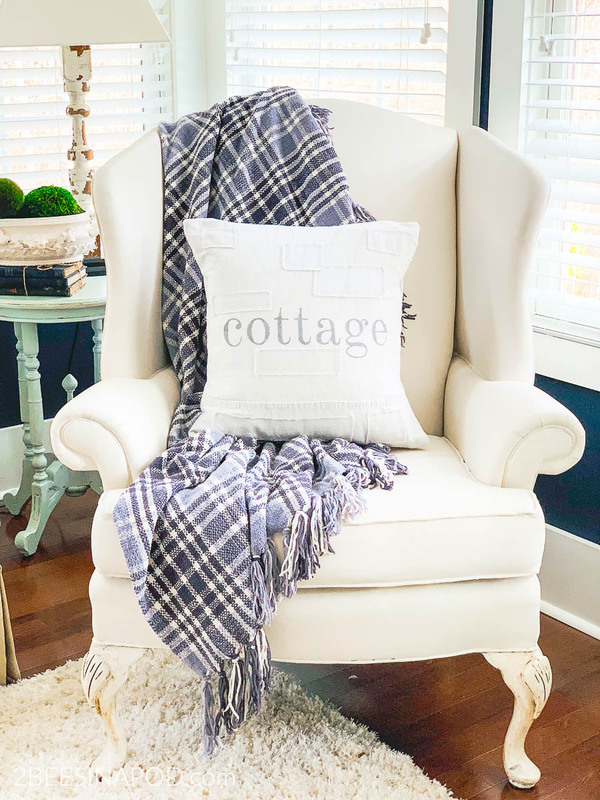 It coordinates well with the mantel. 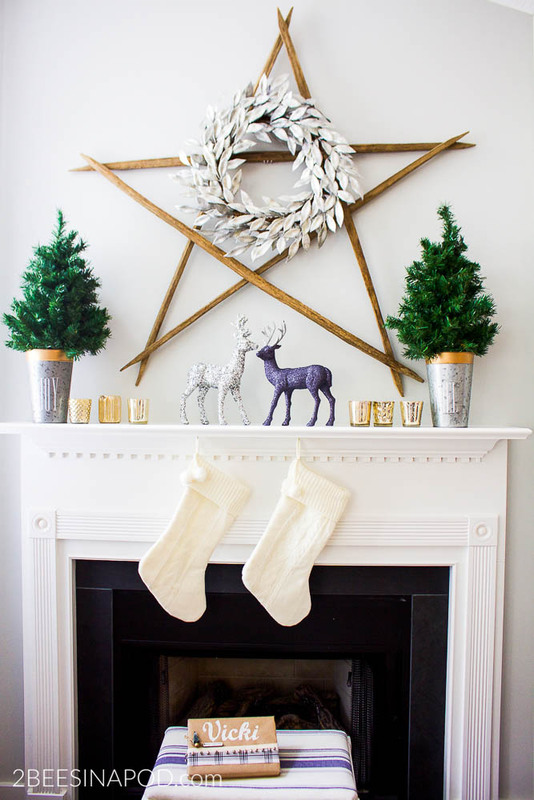 Typically the mantel is the very first thing that I decorate in my home for Christmas. 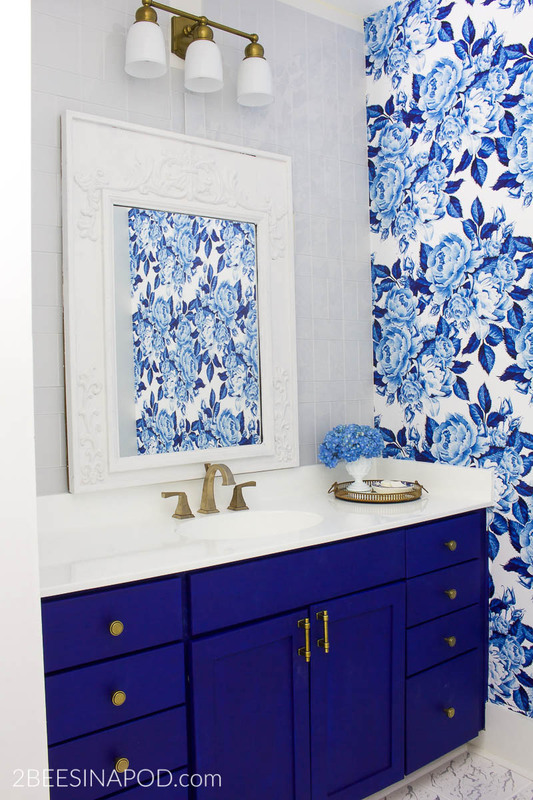 It sets the tone and theme of the room – the centerpiece that makes a statement. This silver laurel wreath was a new purchase this year too. I was fortunate to find it on clearance for just $8.00. Don’t you just love it when you find a great deal? Another new purchase were these galvanized “Joy” and “Noel” urns. The coppery gold rim is rich in color. 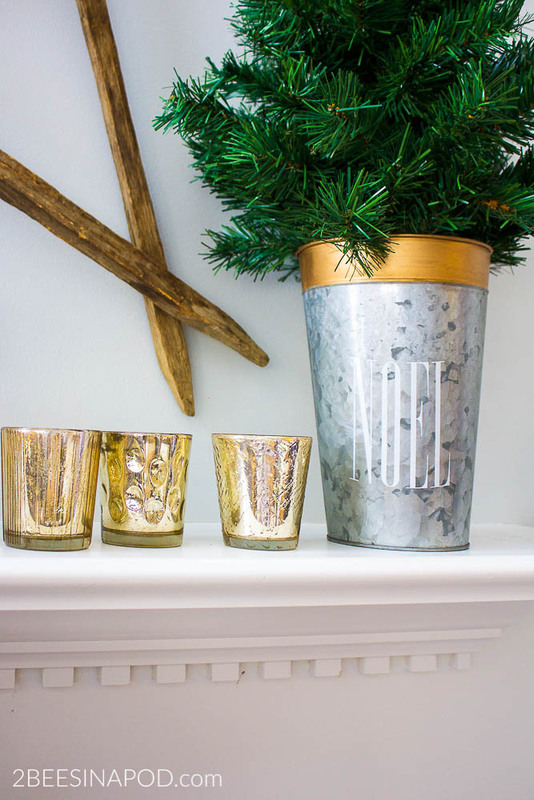 An element I use over and over all year-long, are these over-sized mercury glass votive candle holders. They came in a boxed set of six and were another clearance purchase. I bought them after Christmas one year for just $3.00. Remember after the holidays to keep your eyes open for great deals like this. Especially for things that you can use all year, not just for Christmas. Mini trees fit perfectly tucked inside the urns. 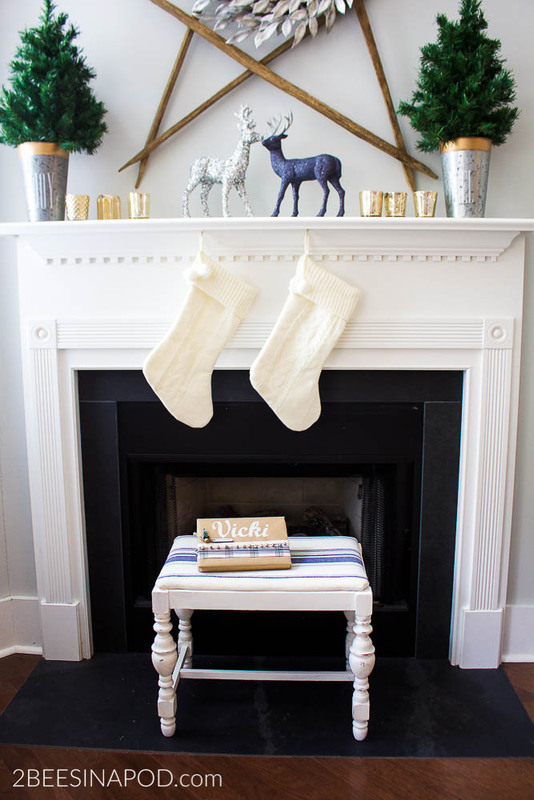 After adding our pom-pom stockings, I stepped back to see what else the mantel needed. 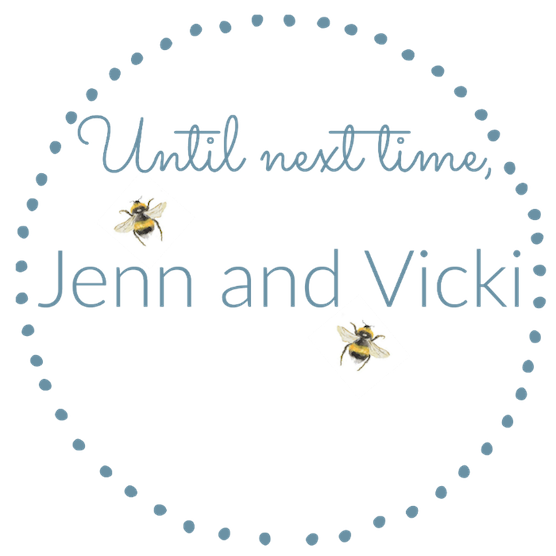 I decided that I really liked the simple lines and clean look and that nothing else need to be added. It looks beautiful especially at night with the tree lights on and with the fireplace lit. You’ll have to wait until I share my entire living room with you next week though to see that! Thanks for stopping by! Now let’s see what everyone else’s mantel’s look like! 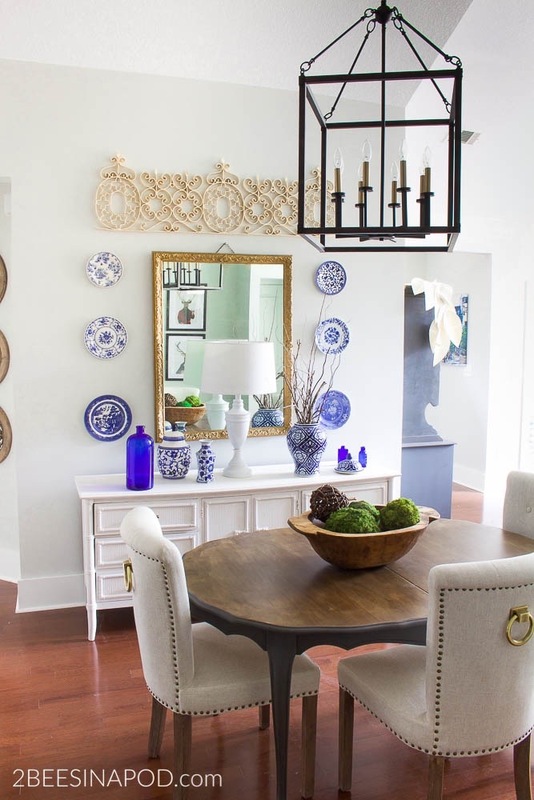 Always love to see your pretty mantels! I can’t decide my favorite part – those reindeer, the stockings, the bench, the star, love it all! Merry Christmas, friends! Giiiiirl, tell me about this magical country road where tobacco stick stars are being sold for $15!!! I want to go there! 🙂 What a find! Love the sparkly and rustic look. It’s beautiful! It’s beautiful! I love the combination of rustic with glam. I wish I could see it all lit up at night, I imagine it’s gorgeous! 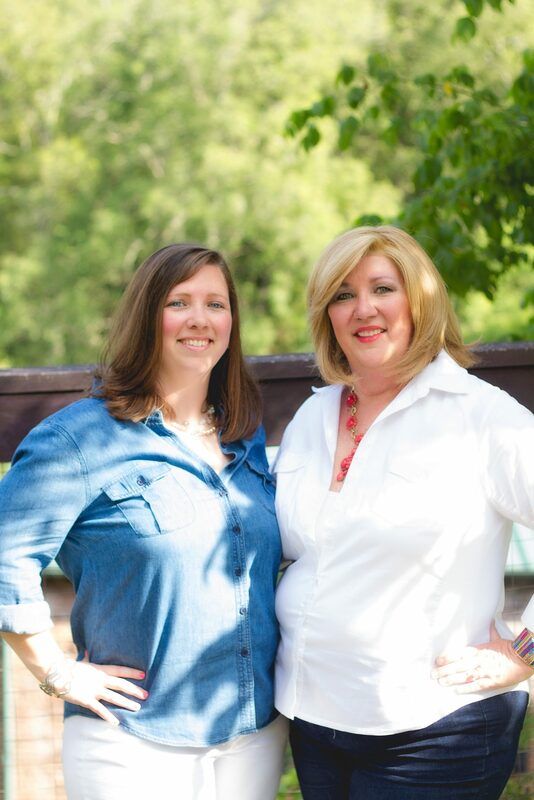 Thanks for joining our hop!